The National Agricultural Nitrous Oxide Research Program (NANORP) has been developed to co-ordinate a national research network under an agreed collaborative program that will develop and deliver the most effective and practical strategies for reducing nitrous oxide that decrease emissions while maintaining productivity. The NANORP will be led by the Grains Research and Development Corporation (GRDC) who will report on progress against objectives under the NANORP to the Australian Government Department of Agriculture, Fisheries and Forestry.  The program coordination function provided by GRDC will be complemented by the scientific leadership provided by the Institute for Future Environments, Queensland University of Technology (QUT). The NANORP N2O Network is the first national effort to synthesise research data about N2O emissions from Australian agriculture soils. This data will enable the Network to develop resources and tools that will support growers, policy makers and researchers to reduce N2O emissions. N2O Network has 100 data records in Research Data Australia, which cover 265 subjects areas including ENVIRONMENTAL SCIENCE AND MANAGEMENT, ENVIRONMENTAL SCIENCES and N2O and involve 1 group(s). All of the information provided by N2O Network can be accessed from the box on the right hand side of this page.